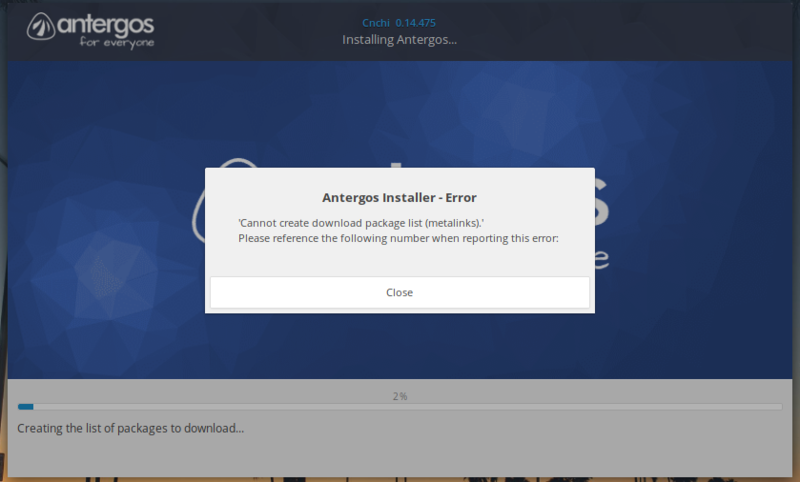 Need help regarding installing Antergos with Deepin desktop. I get the following error everytime I try to install with Deepin. I tried many things since yesterday like changing mirror list, a several times, made the bootable copy 4-5 times but the error doesn’t seem to go away. I really need an OS and this is the one I liked the most. Please help me. @trytip I used the default cnchi’s interface for performing the format operation . Is is necessary to use gparted? If yes, please provide me with the link on how to do so. I have nothing but boot files on my system and a live USB. In my Opinion this error has nothing to do with the formatting. I had a similar error while I was when reinstalling my OS a few months ago. I found that Cnchi could not work with the DNS Servers provided by my Network. Even if they don’t Block. You could try setting up the DNS Servers in the Live Environment to 8.8.8.8 and 8.8.4.4. Thats what helped me, after that I could install with Cnchi without a problem. @severus I changed my DNS servers as u specified in the resolv.conf file. The installer still gives the same error. Any thing else I can try? 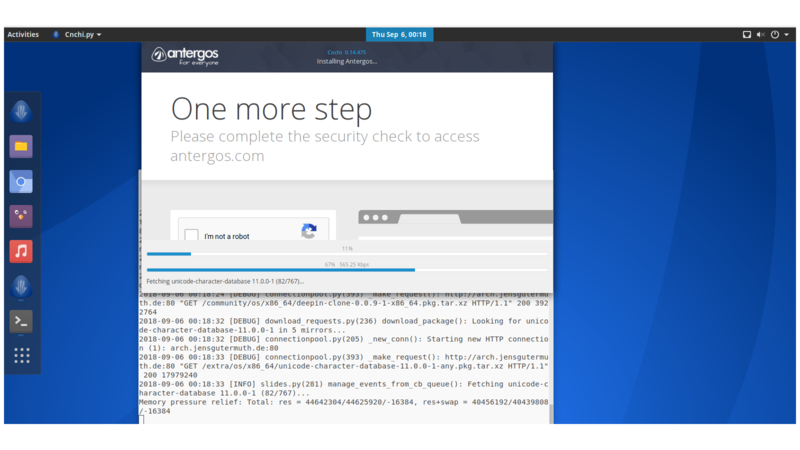 I am so tired of using Antergos LIVE as all my data gets cleared when I hibernate/sleep/reboot. I am in desperate need for this to be installed. @mathdaddy I don’t know if it works with this config file. I had just established the connection on the live environment before starting cnchi. Then it should update itself and be able to install. i got farther than you, at least on this test. but i had to manually change mirror in /etc/pacman.d/antergos-mirrorlist and use reflector to recreate /etc/pacman.d/mirrorlist and not allow to rank mirrors during install since the first time i ran it, it took a long time during the sort and ranking mirrors portion(it never moved past it for over 20+ mins). This is a pain, especially to users unfamiliar in doing these stuff. Been a debian user for past 2 years. Always heard that installing Arch is pain in the bottom, still thought of giving it a try. Until someone figures out a solution, probably I will have to stick with Pop_os. I will be around this thread for a while, so if anyone finds something, please update here. @fazii tried it already. Didn’t fix my problem.